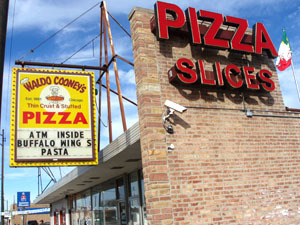 Waldo Cooneys Pizza has been serving the Chicago area for over 20 years with our original recipe for famous thin-crust pizza. We are also known for outstanding dinners, sandwiches and appetizers.Family owned and operated, we combine 25 years in the pizza industry, ready to serve you day or night. Delivery is available from 11 am daily. Call us for lunch or dinner, and choose from our wide variety of menu items. 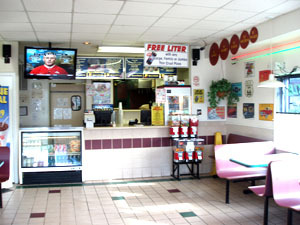 We also offer full service catering and individual pizza slices. Fast hot delivery is available or pick it up at our convenient location at 85th and Pulaski.